We believe that we have the finest, most knowledgeable agents in the industry. If you are looking for someone to represent your needs, take a moment to get to know us. Click below to meet them and see what they can do for you today. 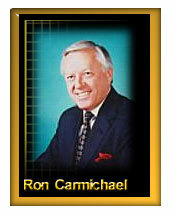 Ron Carmichael is known for quality and service. If you are looking to buy a home or sell one, he will bring the experience of living in the Ocala area for over 40 years. Available 7 days a week - nights and weekends for your convenience. 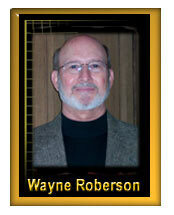 Over 35 years licensed Realtor - Numerous awards and educational seminars. 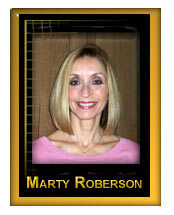 Marty Roberson, A "Life Long Resident of Ocala" Marty has over 14 years of Marketing and Sales exprience to her credit. Customer service and follow through is always her priority with the outcome proving favorable for all parties. Passionate work ethics and integrity mixed with her creative talents will be apparent to you whether you are 'Buying or Selling' Residental or Commercial property in Marion County. Member of The United Way of "Women of Worth"
Wayne Roberson is a native of Ocala whose family heritage dates back three generations, Wayne is a Realtor who knows Marion County. With over 30 years of Sales experience it is no surprise that Wayne excels in the Real Estate Industry receiving the prestigious "CENTURION Award" one of the highest honors giving by Century 21. Whether your Real Estate interest are for 'investing' in Commercial Property or 'buying or selling' Residential Homes, Wayne has a warm and inviting approach that creates a professional and pleasurable experience for all parties involved.